Years ago I discovered a world where art intersects with words. Two of my passions gave birth to a third passion, calligraphy. 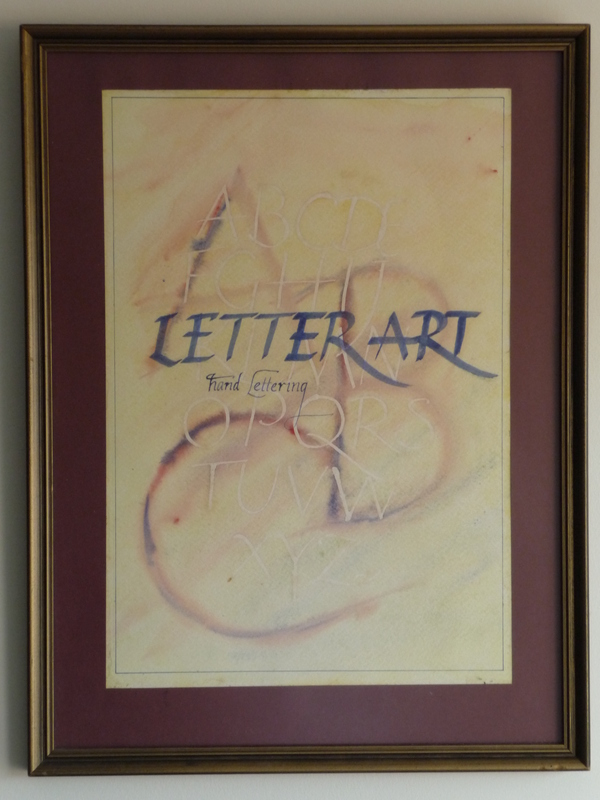 I call my version of calligraphy letter art, where there are no rules or limits to what can be created. I might feel like doing a water colour wash then add letters and words in one or more media applied with any sort of tool, from brush, nib, stick, card or finger. Or I might start by drawing letters in rubber then wash over the top, peeling off the rubber to reveal a message. Once, when I was at a party I became animated about how much I enjoy this. The next moment is etched in my memory. Some woman piped up “Next you’ll be doing cake decorating.” Initially I was shocked that she would mock me by comparing art with cake decorating, then I realised how judgemental I was being. I began to think about how creativity finds an outlet whatever, and that judging and comparing creativite outlets in an attempt to diminish one or both, is to demean the human urge to express ourselves, to interpret the world, to discover beauty, or do whatever. Creativity and imagination are related. 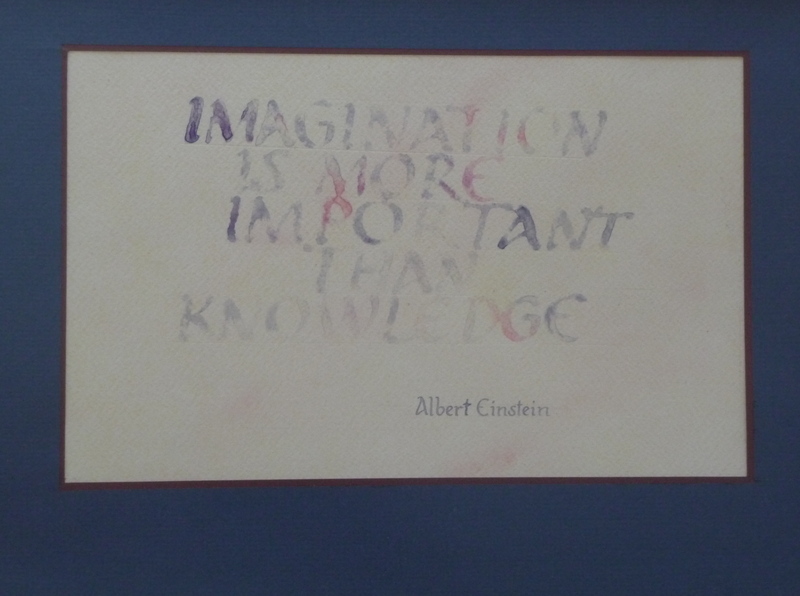 Albert Einstein said “Imagination is more important than knowledge”. This inspires me to believe that human endeavour is at its finest when we apply creativity – to look for opportunities, to solve problems, to seek wisdom and understanding. It is through art, literature, music, any creative work or thinking that our spirits soar. So what is creativity? I’m not sure it can be defined or measured. What is art?. Where painting intersects with calligraphy, is it no longer art? Clearly that isn’t so, otherwise Colin Mc Cahon wouldn’t be regarded as one of New Zealand’s great artists. Does someone’s willingness to pay for artistic endeavour define a work as art? If someone will pay for a cake to be decorated does that mean that cake decorating is art? I believe it can be, and that it can certainly be an example of creativity. Is literature only the work of great writers? If only the greatest writers were published, my reading world would be impoverished. I love reading “coming of age” novels (I have realized in the last few years that I have yet to come of age – will I ever grow up?). Barbara Kingsolver is perhaps best known for writing “The Poisonwood Bible” yet it’s “The Bean Trees” and “Pigs In Heaven” that I enjoyed the most. And I’d be a lesser person if I hadn’t read Billie Letz’ “The Honk and Holler Opening Soon”, “Where The Heart Is” and “Made In The USA”. And I find plenty to chew over in Marion Keyes novels. Julia Fehrenbacher of Painted Path writes wonderful poetry and prose. 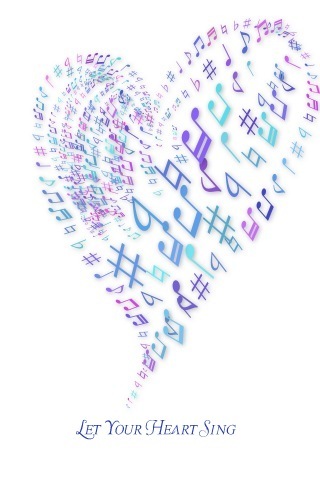 People have always found ways to express themselves creatively, to feel their spirits soar and their hearts sing. Creativity is an essential part of who we are. It can’t be measured and it shouldn’t be compared or minimised, but rather celebrated and embraced, wherever it is found.